Lawrence ‘Larry’ Lessig, founder of Creative Commons and Roy L. Furman Professor of Law and Leadership at Harvard University was awarded an OII Lifetime Achievement award in recognition of his outstanding scholarship and public advocacy which has contributed so much to our understanding of how the Internet might best be used to stimulate - rather than threaten - culture and creativity. 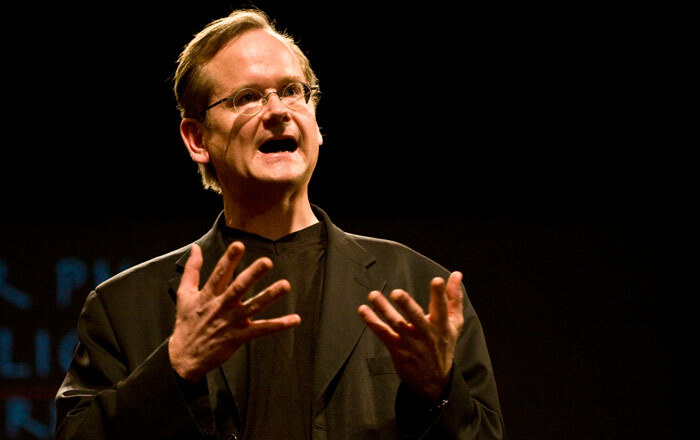 Professor Lessig’s achievements are particularly notable for their spread across three fields. As an academic, he is perhaps best-known for the seminal text from 1999, Code and Other Laws of Cyberspace, which argued that the regulability of the Internet depended on its design, and for the primacy of ‘code as law’. This work also established Lessig’s expertise as a copyright scholar and critic of restrictive, traditional copyright regimes, a theme which was later developed in works such as The Future of Ideas (2001), Free Culture (2004) and Remix (2007). This same theme underpinned much of Lessig’s work as a lawyer and also an activist. In the late 1990s, Lessig took on a case as attorney of law that attempted to challenge a recent extension to the US copyright term. Although that case (Eldred v. Ashcroft) was ultimately rejected by the US Supreme Court, the campaign resulted in the birth of Creative Commons, a now global NGO that provides free legal tools to enable artists and creators to share their work online whilst choosing which rights to retain. During his stellar career, Professor Lessig has worked at Chicago, Harvard and Stanford universities. At the latter, in 2000, he established the Center for Internet and Society, devoted to increasing understanding of the way in which new technologies interact with the law. In recent years, Professor Lessig’s work has turned to address institutional corruption, another issue where longstanding vested interests undermine the public good. Moving beyond an academic agenda, Professor Lessig once again embraced the responsibilities of public life when he decided to try to become a candidate in the US Democrat Party for president, to make the issue of reform central to that party’s platform. The award was presented on 11 November 2016 in Oxford, at an awards dinner and ceremony.